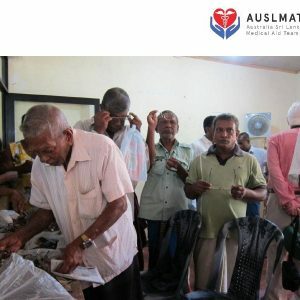 AUSLMAT will visit Sri Lanka from the 1st of July this year. 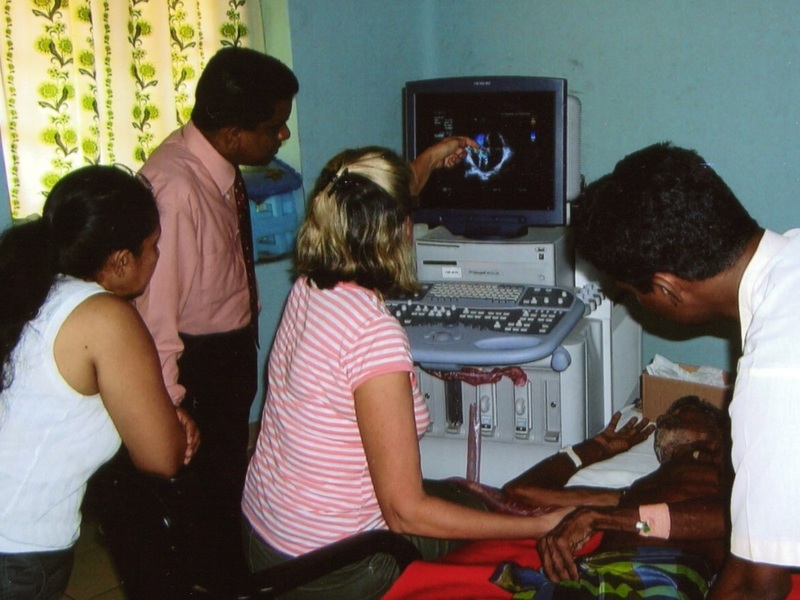 We will visit the Batticaloa hospital where we work with Dr. Arulnithy the only cardiologist at Batticaloa. 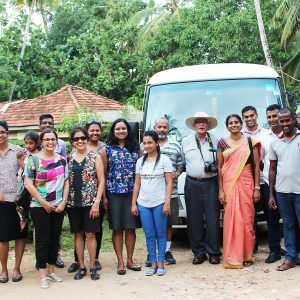 We will also visit hospitals at Matara, Akuressa, Valaichennnai and the Karapitiya hospital in Galle . 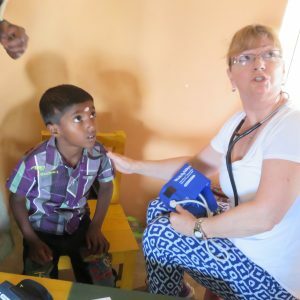 In addition to these hospital visits AuSLMAT will also see the differently abled children at the OZANAM Centre in Batticaloa and do a general medical clinic at Weligama where we will have the assistance of Dr. Upali Mendis who will conduct an eye clinic. 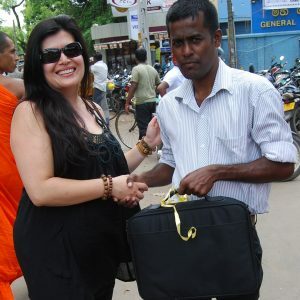 We have a large amount of spectacles for distribution in Sri Lanka . We also see patients at Valaichennai whom we have treated previously. 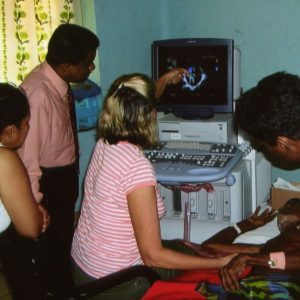 Dr. Jennifer is shown here teaching doctors at the Hambantota hospital in the essential features of echocardiography.